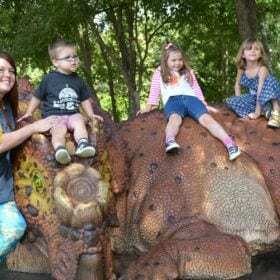 The Dinosaurs return to the Grapevine Botanical Gardens! Travel to the prehistoric Woodbine Formation, found right here in North Texas and come face-to-face with life-size dinos, such as the Utahraptor or Deltadromeus. 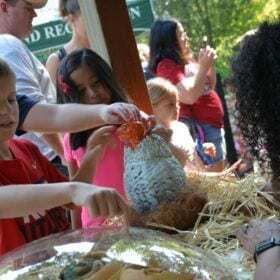 Visitors of all ages will remain enthralled throughout the interactive walk through exhibit, Jurassic Gardens located inside the Grapevine Botanical Gardens. The exhibit includes museum-quality creatures, educational elements, hands-on activities, genuine fossils and other surprises. These world class creatures are here for a short time – see them before they go extinct! For admission into the exhibit you must buy a ticket PER PERSON. Tickets can be used anytime during the exhibit dates and various hours. This is a one-time use only ticket. Come explore Jurassic Gardens after dark and experience the dinosaurs in a whole new light! Want unlimited access? Unleash your inner paleontologists and purchase a Paleo Pass – Giving you access to Jurassic Gardens and DINOS AFTER DARK as many times as you wish during the course of the exhibit. *The pass does NOT include Brews & Bones or Winos & Dinos and you must purchase a pass per person. Make no bones about it, Brews & Bones is guaranteed to be a roaring good time! Enjoy a selection of brews while walking through our extensive Jurassic Gardens exhibit and listen to professionals discuss the fossils found in North Texas including Grapevine Lake. Buy your tickets today for this one of a kind 21 and up event at the Jurassic Gardens exhibit. You must have a ticket per person for entry. A one of a kind event glass is included with the price of admission. You must be 21 or older in order to attend this event inside the Jurassic Gardens exhibit. We will be checking ID’s at the door. ONE TIME USE ONLY. Must have a ticket per person for entry. One of Main Street’s storefront wineries is busting out of its doors and headed to the jungle. Are you a wino-saur? – then immerse yourself in a wine experience from the prehistoric age. 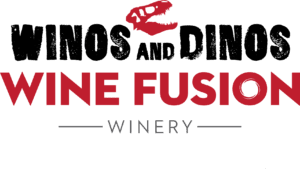 Join Wine Fusion Winery out at the Grapevine Botanical Gardens for a night with the dinosaurs and music while enjoying your favorite red or white in our interactive exhibit, Jurassic Gardens! Buy your tickets today for this one of a kind 21 and up event at the Jurassic Gardens exhibit. You must have a ticket per person for entry. A one of a kind event glass is included with the price of admission. For any questions/issues with tickets or questions about the event please contact us here. Where is Jurassic Gardens located? Jurassic Gardens and all the events held with the exhibit are located at 411 Ball Street, Grapevine TX 76051 at the Grapevine Botanical Gardens. Is Fossil Fest come and Go? 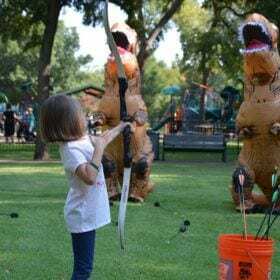 The one-day kick off to Jurassic Gardens, Fossil Fest is come and go, there are many free activities for families to participate in. 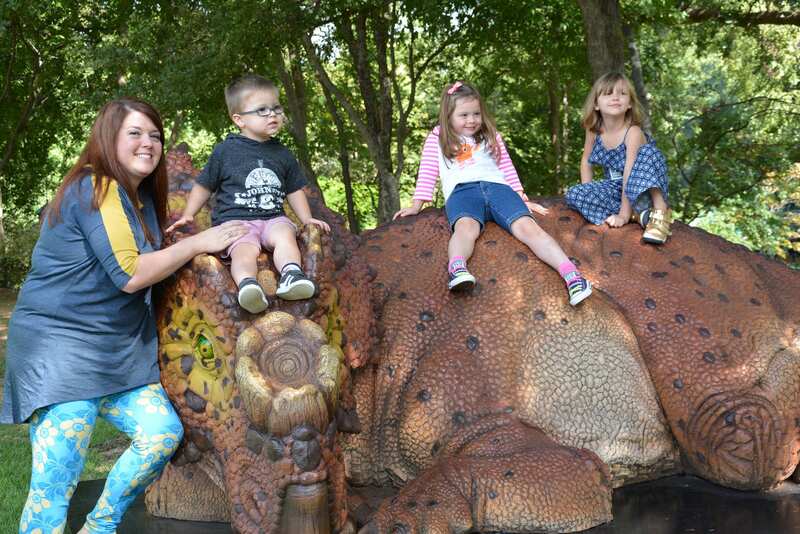 The fee-based dinosaur exhibit, Jurassic Gardens is a one-time experience unless you purchase a Paleo Pass where you can visit the Jurassic Gardens exhibit unlimited during its duration, September 22nd – October 7th. What is a Paleo Pass? For $20, a patron can purchase a Paleo Pass. This gives guests unlimited visits to The Jurassic Gardens exhibit and to Dinos After Dark, seeing the exhibit at night. *The pass does NOT include Brews & Bones or Winos & Dinos. What is Brews & Bones? Brews & Bones is a craft brew experience with the dinosaurs. Guests will enjoy 2 glasses of beer in a commemorative glass, informational talks about the t-rex and enjoy the Jurassic Gardens Exhibit with their admission ticket. The date for Brews and Bones is September 28th from 5-7:30PM. What is Winos & Dinos? What is Dinos After Dark? Dinos After Dark is a whole new experience where guests will immerse themselves in the Jurassic Gardens exhibit except at night! Dates for this experience are September 28th & 29th from 8PM-10PM and October 5th & 6th from 8:00-10:00PM. Parking is free. Due to construction at The Bessie Mitchell house, parking is available at The First United Methodist Church. 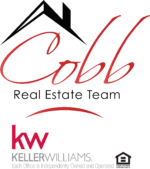 Do I need to purchase a ticket for each member of my family? Yes, each member of your family or group will need a ticket. Children under 2 years of age are free and do not need an exhibit ticket. Can you re-use your ticket? You cannot re-use your normal admission ticket into Jurassic Gardens. You can purchase a Paleo Pass for $20 that will grant you unlimited visits throughout the exhibit during normal exhibit hours and Dinos After Dark between September 22nd – October 7th. Dinos After Dark dates are September 28th & 29th and October 5th & 6th. 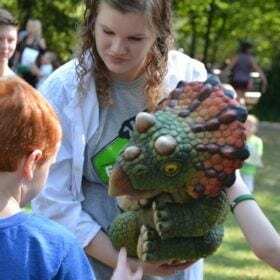 Fossil Fest is the Free kick-off event to the larger than life dinosaur exhibit, Jurassic Gardens. 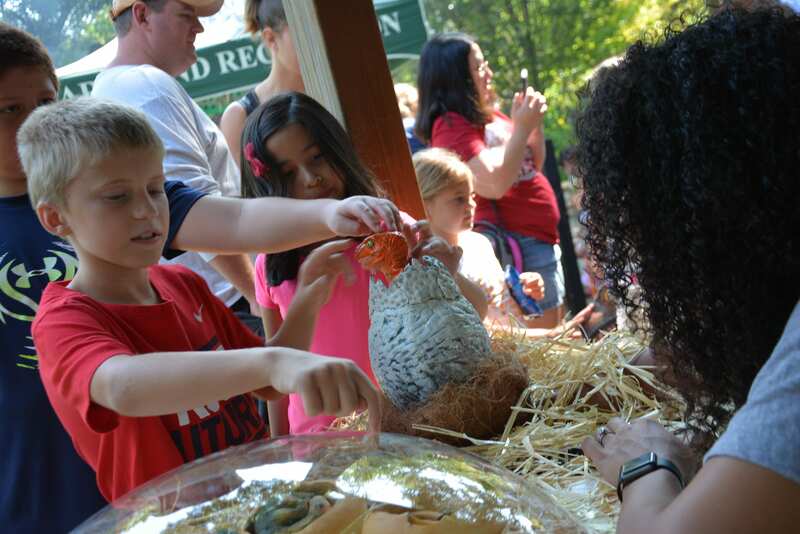 All activities at Fossil Fest minus the (walk through) exhibit are free for patrons. Jurassic Gardens is an immersive exhibit with animatronic dinosaurs, dig pits, educational information and so much more! Will the setup be the same as last year, or will there be new/different dinosaurs featured? 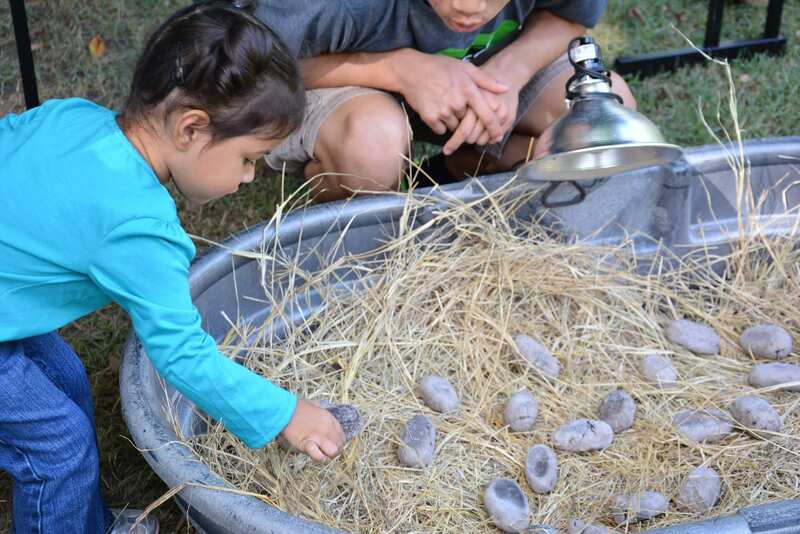 This year’s Jurassic Gardens Exhibit set up will be different with only a few returning dinosaurs, most will all be new creatures for you to come face-to-face with including some that have fossils that have been found right here in Grapevine. How loud are the dinosaurs? The dinosaurs do make scientifically based sounds but are not loud or startling to most children. At the kick-off event Fossil Fest there will be food available for purchase. During regular exhibit hours, there is not food on-site but the Grapevine Botanical Gardens are near many great Grapevine restaurants and convenient food options. I’m a member of the press and would like to cover Jurassic Gardens and its events, whom do I contact? Are you having trouble with tickets? Still not answering your questions? 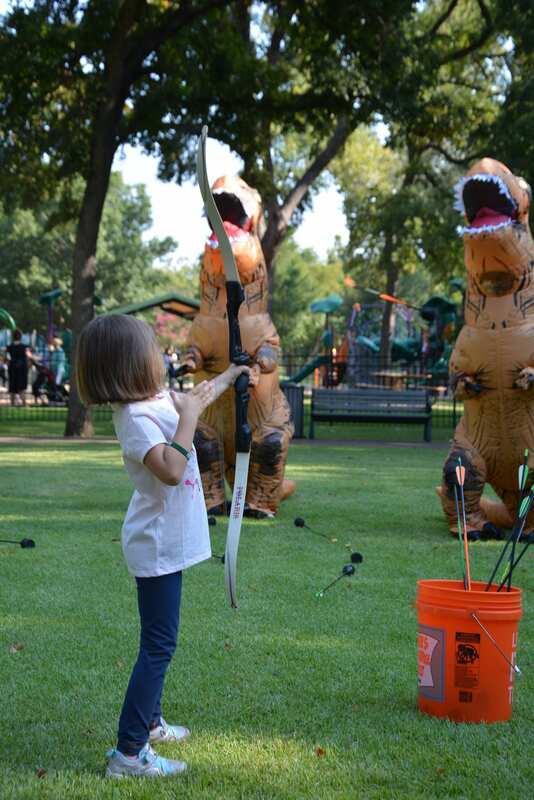 Join Grapevine Parks and Recreation for Fossil Fest, the FREE kick-off event to Jurassic Gardens. 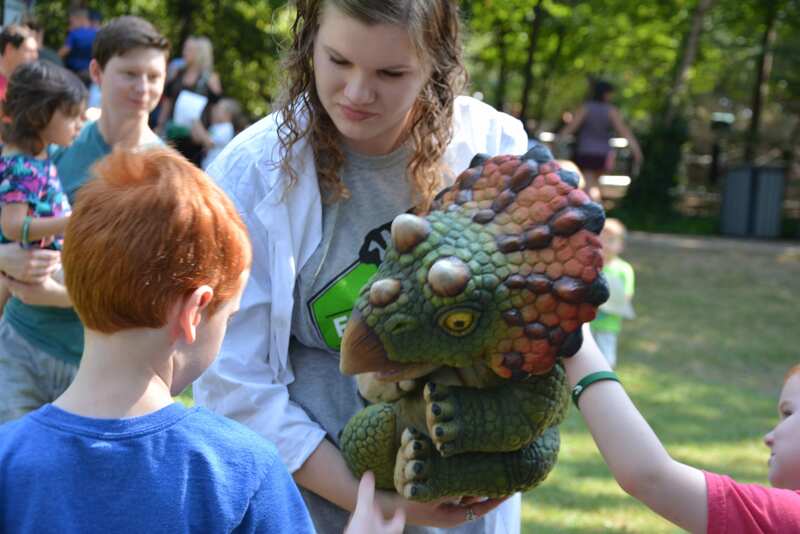 LEARN about the various dinosaur species that once roamed your backyard in Grapevine. 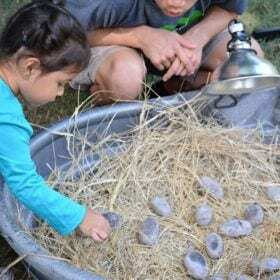 DIG up fossils and take home your very own dinosaur from the egg hatchery. 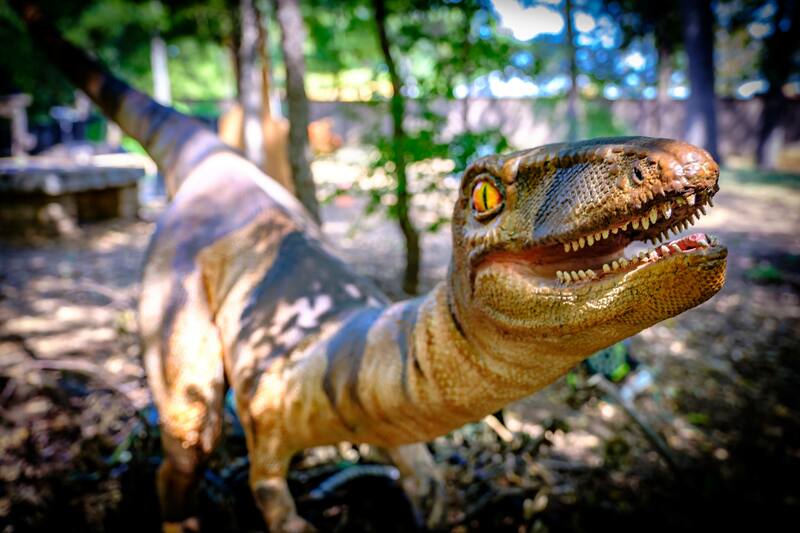 EXPLORE the animatronic dinosaur encounter, Jurassic Gardens, where you will be face to face with the most fascinating creatures of Grapevine’s past. Nestled in our Grapevine Botanical Gardens it will be an event you won’t want to miss! For this day ONLY, you must buy a ticket per time slot in order to enjoy the Jurassic Gardens exhibit as there is limited admission. All activities outside the Jurassic Gardens exhibit are FREE!